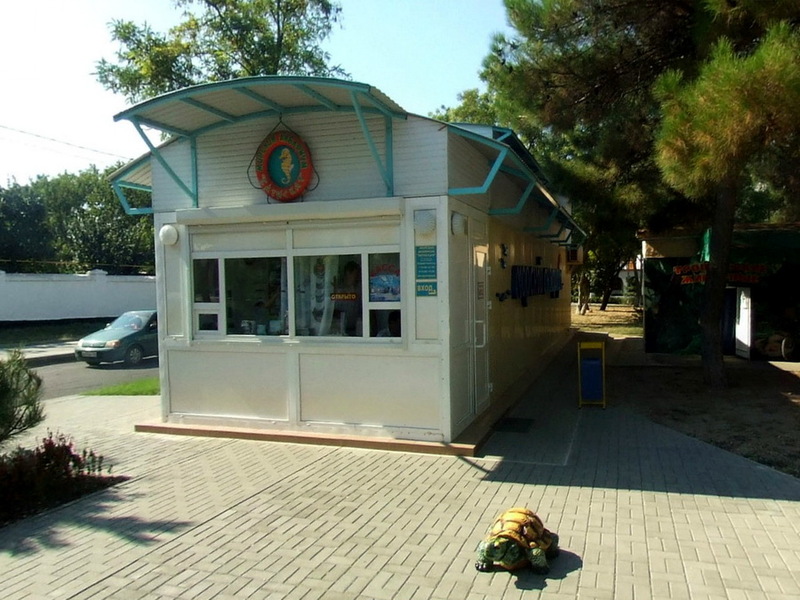 originally demonstration of Black Sea fauna only - small aquarium (4000 litres), since 2007 an aquarium (24000 litres) in the shape of tunnel compounded of individual panes of glass (ie angular, not rounded) with fauna of Black Sea and its tributaries - whiptail stingrays, shi drum, brown meagre, wrasses, searobins, sturgeons, catfishes, eels, pikes, big heads, perches, flatfishes, sea horses, tortoises, crabs and several few exotic species (goldfisches, Cichlids...). prohlídka s průvodcem, výstavka mušlí, hvězdic, korýšů apod. guided tours, exhibition of shells, starfishes, crustaceans etc.